I can't believe I have almost missed Wendy's Handmade Monday...it is 9.30pm and I am quickly taking 5 minutes to post a picture from my crafty weekend. I went to the annual Zibelemärit (onion market) in Bern after work today and came home later than usual, but more on this weird Swiss tradition later this week. I decided to make some felt ornaments for my Christmas tree using felt bought from the fabulous Lupin (check out her blog Bugs and Fishes for loads of tutorials for felt accessories or her shops for felt supplies and felt badges...I love it all!). 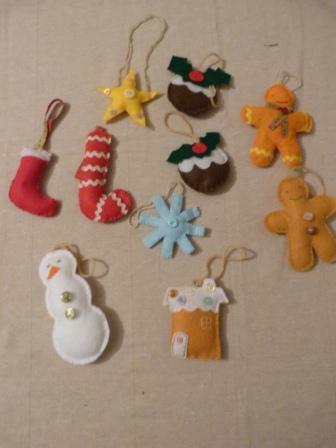 There is still plenty of sewing to be done as I am going to need more ornaments than this but it is a start! The Christmas puddings and the gingerbread house were made by following the super easy tutorials by Lupin (available here). 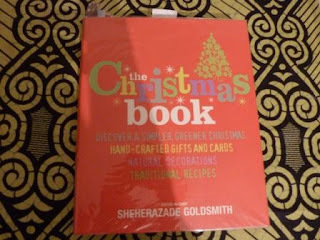 Templates and inspirations for the other ornaments came from the book I have just showed you. 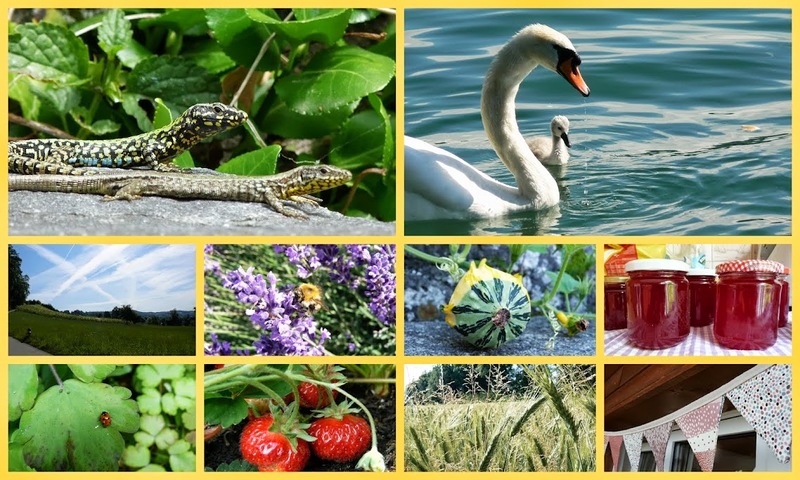 Do drop by again this week to hear about it all! What lovely decorayions - especially the snowman. Can't wait to hear about the Onion Market. 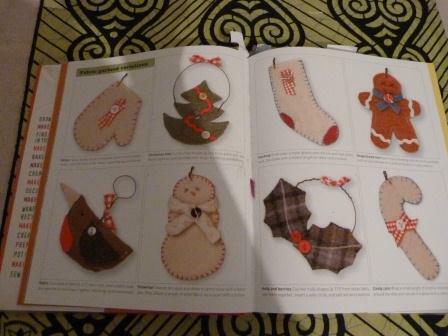 The felt tree ornaments look fab, look forward to hearing about the onion market - sounds intriguing! I love your felt ornaments. I just love felt, a great material to work with, and as long as you keep it simple, very good for kids too. Gonna check out the blog you mentioned, always good to see what other people are up to. Can't wait to see more items! 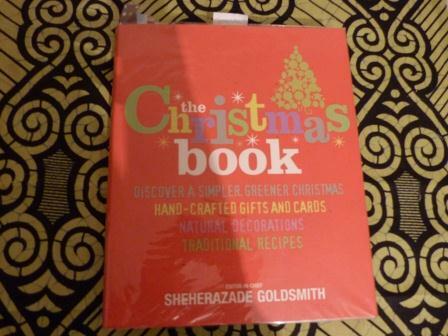 I'm not surpriseded you 'stole' the book looks like a goodie and your makes are lovely. Looking forward to your post about the onion market!